From Moses’ account of the first Passover we learn great truths about two themes: we learn about God’s way of saving us, and we learn how important the family is in that plan. Before we learn important truths from the Passover about household salvation, we need to learn important truths from the Passover about salvation. The Passover was one of the most important events to God’s old covenant people. The only other event that could even be considered as important is the Day of the Atonement. Both teach the same basic truths about salvation. We are sinners. God judges sin. His final judgment for sin is death. The only way to be rescued from God’s judgment is for something or someone to die in our place. In other words, there can be no salvation from judgment unless God’s justice has been satisfied by blood shedding, a symbol of violent death. Let’s think about the Passover. God predicted that the Jews would be enslaved in Egypt for 400 years (Gen. 25:26). He raised up Moses and Aaron to lead them out of Egypt. He sent massive, frightening plagues on Egypt because Pharaoh refused God’s commandment to liberate the Jews. (The Egyptians paid a heavy price for Pharaoh’s rebellion, just as we pay a heavy price today for our political leaders’ rebellion.) Finally, God brought the hammer down fully. In Exodus 11 God told Moses to tell Pharaoh: “At midnight, I’m traveling through Egypt. I’ll visit every house, and I’ll kill every firstborn, from man to beast, in every family, starting with your family, Pharaoh.” God predicted that, even with this horrific threat, Pharaoh wouldn’t listen. And he didn’t. There was a difference between the Jews and the Egyptians (Ex. 11:7), but that difference wasn’t that the Jews weren’t sinners, while the Egyptians were sinners. No. The difference is that God provided a way of salvation from judgment for the Jews (and any Egyptians who were willing to join the Jews; see vv. 37–38). And that way meant death. The Egyptians had to die, because they, in the form of their representative, had sinned. This is why all the firstborn had to die. The firstborn children and animals were a representative, just as Pharaoh was a representative. In killing the firstborn, God was symbolically leveling judgment on everybody. Now we need to think very hard about what this judgment teaches about God’s character. God created man and woman to share the fellowship of the Trinity (Jn. 17:20–24). God loved to commune with Adam and Eve in the Garden before they sinned (Gen. 3:8a), just as he loves to commune with us. Living our lives in communion with the Triune God and fulfilling his stewardship of creation is what man was created for (Gen. 1:28–30). When man turns his back on God, he turns his back on the very reason for his existence. This is why death is the penalty for sin. When we turn our backs on God, when we rebel against him, there’s no good reason for us to go on living. That may seem like a hard verdict, but that’s the Bible’s verdict. The only reason that God allows sinful man to keep on living temporarily is because God is a God of grace. Sin deserves death, because sin is the opposite of God’s intention for us. So when God destroyed almost all of mankind with the Flood, and when God killed the firstborn in Egypt, he wasn’t being cruel. He was making sure he would fulfill his original intention for man: to commune with him. The great evil of sin is that it ruptures that communion. It ruptures communion because God is a righteous God. Righteous basically means, “in the right.” God is always in the right. When we sin, we are in the wrong. If God did not judge sin, he would be indifferent toward the wrong. But as a right-eous God, he can’t be indifferent towards the wrong. This is another way of saying that God is a God of justice. This also means that God can’t commune with unrighteous people — that is, people whose entire orientation to life is different from his. God is a righteous being who communes with other righteous beings. Since man is a sinner, this puts us in a big predicament. How can he be righteous? We already see in Exodus 12 the basic answer to that question. We can’t make ourselves righteous in God sight. Got himself must “righteous” us. He does this by leveling his judgment on a substitute. At Passover, that substitute was a pure, spotless lamb. The Jews killed the lamb; they ate the lamb; and they sprinkled its blood on the door of their home. First, Got had them kill the lamb, because the penalty for sin is death. He leveled his judgment on the lamb so that he wouldn’t level it on the firstborn in the Jewish house. This is the only way he could rescue the Jews. Second, Got had the Jews eat the lamb, because that eating symbolizes union with the one who bore the sacrifice. Our food becomes a part of our being. It wasn’t enough to look at the dead flesh of the lamb. You had to eat that cooked flesh. Salvation isn’t just intellectual. We must act in faith on the sacrifice. Third, God had the Jews smear the lamb’s blood on the door. Why? To make a public, visible testimony of the faith of that house’s occupants (a “sign,” v. 13). In other words, salvation is not a private, secret matter. In the new covenant, the Christian is required to be baptized. Baptism is a public declaration of faith. At Passover, the blood on the doors let everybody know that the Jews believed in and practiced God’s way of salvation. And this is where we come to the main point. Why do we call this festival Passover? Because there is the greatest significance to God’s passing over the house. Why is he passing over? Because he sees the blood (v. 13). In other words, he sees that his justice has been satisfied. Now it is most striking that this is just the point about salvation that God would want to stress with Israel — and with us. Sin must be judged before we can be saved. And if we’re not to be judged ourselves, we must have a substitute. The death of the lamb is the only protection from God’s judgment. There is simply no other way. This is called sacrificial or substitutionary atonement. It was payment for sin before God by substitution. The Passover lamb was sacrificed and died so the firstborn could be spared. Now we know from the New Testament that the Passover was not God’s final, definitive way of salvation. Like all the other sacrifices of the Old Testament, it pointed to the one, final, enduring sacrifice, Jesus Christ. John the Baptist said that Jesus Christ was the lamb of God that takes away the world’s sin (Jn. 1:29). Peter tells us that Christians are bought with the precious blood of Jesus Christ, a lamb without blemish or spot (1 Pet. 1:19). In Revelation, John calls the risen Lord the lamb, again and again and again. And Paul explicitly writes that Jesus is our Passover (1 Cor. 5:7). The Passover in the Old Testament was most significant because it pointed to Jesus as our Passover lamb (see Heb. 9:26–28). All of our sins were laid on him (2 Cor. 5:21; Eph. 5:2; 1 Pet. 3:18). On the Cross, God poured out his judgment on his Son in our place. Just as the Passover lamb was killed to spare the Jews, so Jesus Christ was killed on the Cross to spare us. And had Jesus not suffered on the Cross and died for our sins, we would await God’s judgment in hell. Salvation is by the shedding of blood. There is simply no other way. Theological liberals deny substitutionary atonement. You may recall that not long ago the liberal Presbyterian Church of United States (PCUSA) dropped the great hymn “In Christ Alone” from its new hymnal. One line in particular offended the liberal Presbyterians: “[O]n that cross, as Jesus died, the wrath of God was satisfied.” They asked Stuart Townsend and his co-author whether they could change that last line to “the love of God was magnified.” They said thank you very much, but no, you may not. Of course, the Cross magnified the love of God, but it magnified his love by showing that he was willing to sacrifice his own Son on the Cross for us in order to meet the terms of his justice. His wrath against sin was satisfied on the Cross. There is no greater magnification of the love of God than that. This is why the liberal view is so disgraceful. It is an attack on the love of God. This is how much God the Father loved us (Jn. 3:16): he sent his own precious Son to die on the Cross in our place, suffering his own wrath for our sin. If we don’t have substitutionary atonement, we have lost an indispensable part of the Gospel. Jesus Christ is our Passover lamb. The shedding of blood is the way that God saves sinners (Heb. 9:22). And there is no other way. So much for the Passover and its truths about salvation. Now, what about its truths concerning household salvation? The Jews were to take a lamb for every house (v. 3). Now this fact is especially noteworthy. Why didn’t God just call a great convocation and have several lambs killed? Or simply have individuals kill their own lamb? Because he was showing symbolically that he’s interested in household redemption. The Puritans were fond of saying, “God casts the lines of election in the loins of godly parents.” They didn’t mean that children born in Christian families are “automatically saved.” That’s a dangerous presumption (Jn. 8:39; Rom. 9:10–13). Children from Christian families must put their trust in Jesus Christ like everyone else. 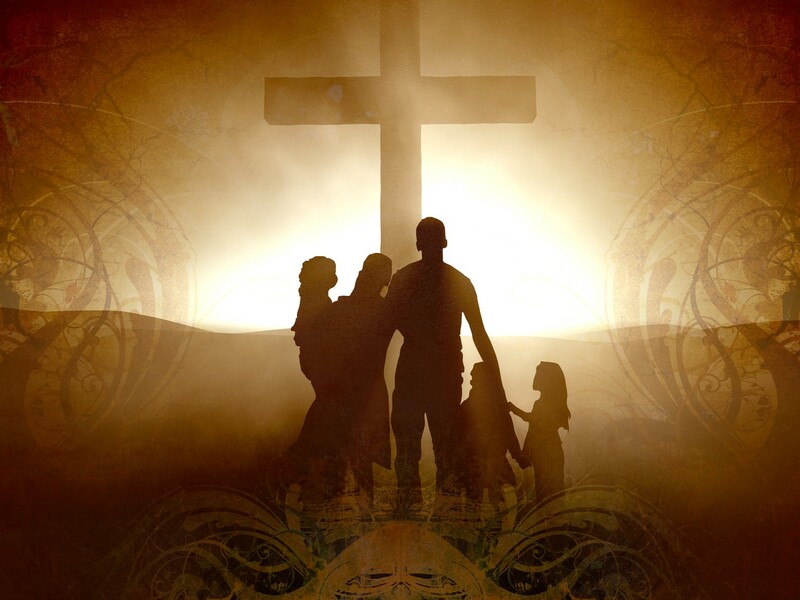 However, God’s focus in redemption starts (though it never ends) in Christian families. This is why Peter stated in the first Pentecost after Jesus’ resurrection that the Gospel promise is to the listeners and to their children (Ac. 2:38–39). This is why we read in the book of Acts that individuals were saved and baptized, “and their house.” This is why Paul taught that children are holy, or set apart, if they have even one Christian parent (1 Cor. 7:14). God casts the lines of election in the loins of godly parents. You’ll notice that God told Moses that if the house is too small for the lamb, they must share it with other houses. In other words, the household may be too small for the lamb, but the lamb is never too small for the household. The blood of Jesus Christ is always sufficient for the household. God wanted to make sure that every single person in the household benefited from that lamb. In other words, every person in that household should be redeemed. God’s way of household salvation should encourage us. It should raise our expectations. It should comfort us when our spouses or children are drifting from the Faith. Look at it this way. If there is even a single Christian parent in the family, everybody in that family stands in a privileged position before God. I didn’t say everyone is “automatically saved.” I said that everyone stands in a privileged position. Paul says this flat out: “For the unbelieving husband is made holy because of his wife, and the unbelieving wife is made holy because of her husband. Otherwise your children would be unclean, but as it is, they are holy” (1 Cor. 7:14). “Holy” means sanctified, set apart for God’s unique purpose. This means that children in Christian families are not on the same footing as children in non-Christian families. Our children are granted a privileged position. They’re members of God’s visible covenant body. They hear the word of God taught at home and at church. They’re instructed in the Gospel and the Faith. They hear their parents and pastor and church teachers and often schoolteachers pour out their hearts before God. They’re so privileged because they have very close contact with the things of God. This is why it’s so tragic when they utterly turn their back on God and depart from the Faith. They have so many privileges. It’s an act of almost unforgivable ingratitude when they throw these precious Christian jewels before the swine of the world. But even when our children drift from the Gospel, we have God’s promises. We know they haven’t forgotten all that God has placed in them. We know that God still privileges them. If your children are drifting, remind God of his covenant promises. Remind them of their covenant privileges. Meanwhile, nourish the lambs in the Gospel. I use that expression a lot. What do I mean by it? I mean you should surround and suffocate your children with the things of God. When they get up in the morning, remind them of God’s goodness and creation and then the Cross and the resurrection. Remind them that the Bible is God’s precious word, and read the Bible to them, and as they get older, have them read it for themselves. Spend time praying with them, and pray for specific things, and when God answers, give God the glory. This will increase their faith. Keep them in God’s house. This is God’s chosen community, and they need to grow up in that Gospel community. In this community, your children are nearest to the Gospel’s covenant sacraments — baptism and communion. Christians who consistently pull their children out of church for some other activities are teaching their children that those other activities are more important than the house of God. That is very bad, and very dangerous, teaching. Almost everything in our contemporary culture wars against almost everything we Christians hold dear. Therefore, nothing less than nourishing the lambs in the Gospel at every point, suffocating those lambs in the Gospel, will suffice. When at that first Passover, God commanded a lamb for a house, he was laying down the terms of household salvation. We dare not deviate from those terms. Let me review. There can be no redemption apart from sacrificial, or substitutionary, atonement. In the Old Testament, lambs and goats had to die to avert God’s judgment. But they were only a temporary atonement. They pointed to the one, final, enduring atonement — Jesus our Savior and Lord. Trusting in the crucified and risen Lord alone is the only way of salvation. God’s plan is a lamb for a household. That means: the substitutionary atonement I just talked about is designed first for the Christian family. We should live in the expectation that God wants to save everyone in our house. And we should act on that expectation by nourishing the lambs in the Gospel. God casts the lines of election in the loins of godly parents. The complete answer, of course, would come only with Jesus’ sacrificial death on the Cross. This is what Jesus means in John 6 when he requires that all who would belong to him eat his flesh and drink his blood. He is not talking about sacramental salvation. He is pointing out that sinners must actually join themselves by faith to him, cast themselves entirely on him and his atoning work, if salvation is to be effectual. The metaphor is one of incorporation. In other words, we are saved by incorporation, not merely contemplation. It’s also called the Feast of Unleavened Bread (Ex. 12:17f.). There are, of course, theological conservatives and conservative churches in this denomination, but it is clear that they are not in the leadership. Our congregation practices infant baptism and gives communion to all who were baptized. But the teachings above apply to Christians and churches whatever their specific view of baptism and communion. The Lord used this excellent article to bless me mightily, now motivated towards renewed provision of gospel nourishment for our 2 adult lambs still living at home. Thank you! A real blessed teaching. Thank you!